How do you read tabs for drums if you don't know what some of the parts of your drums are called? The best thing to do would be to learn the names of all of the parts of your drum set! Hope this helps you out. Let me know if there is anything else I can help you with. 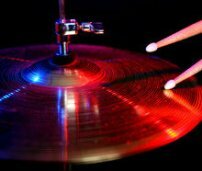 You might want to check out these drum tabs! Grab the free sample and see if it is easier to read. There is also some advice about reading tabs there.